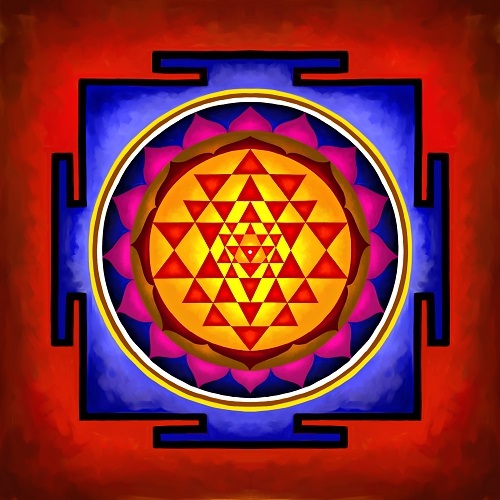 What is a YANTRA ? Success and wellbeing are things that everyone looks for. Yogis and mystics down the ages created many devices to aid human beings in their quest for immediate and ultimate wellbeing. Yantras are devices of this kind, which are created as support systems towards a particular purpose. YANTRA literally means “support” and “instrument”. 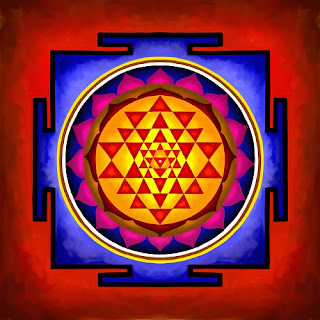 A YANTRA is a geometric design acting as a highly efficient machine that enhances certain dimensions of your life. It has a certain kind of impact on your system, on the space in which you live, and upon the direction and destiny of your life.What is Sriyantra ? It is a diagram formed by nine interlocking triangles that surround and radiate from a central point. The word “Shree” means wealth and “Yantra” means instrument. So, basically it is an instrument to acquire wealth- material as well as spiritual. 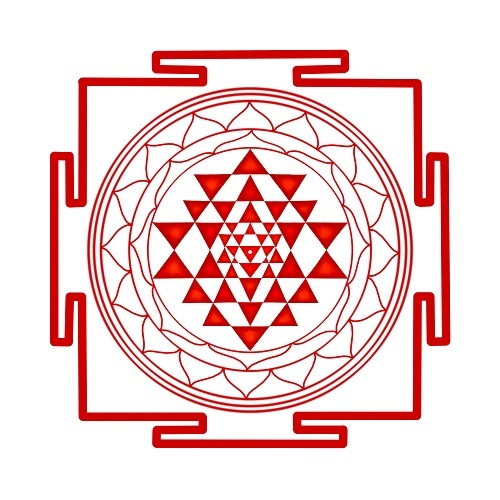 Sriyantra is deeply connected to ancient science of vaastu shastra and is mentioned in Vedas as a scientific, cosmic and planetary energy zone. 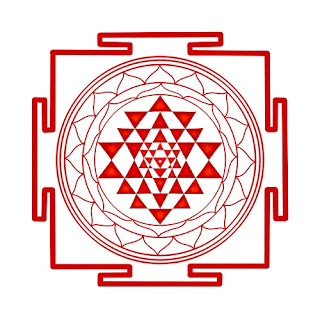 It is considered as one of the most auspicious and powerful yantra. It is a source of attaining material wealth in life like money, success and position as well as spiritual wealth like peace of mind, harmony and happiness. When placed in your home or office, it is believed to get rid of all the negative vibes that hinder your success, progress, attainment of wealth and happiness. 1. It should be placed on east wall facing east direction. 2. It should be visible from all sides as it will affect all directions from where it is visible. 3. It should be placed at the height upto your heart level. 2. It should be worshipped every Friday as well as on special occasions like Purnima,Holi and Diwali. But letting the spirit control your mind leads to life and peace every where. The mean to share and given the important data with some brief details is the means that we are doing best. David Beckham Quilted Jacket And if any one essay writing then he may be getting their time from the other sides. We can be worried at the time of purchasing a gift for our loved ones. From australianwritings.com.au plagiarism we can purchase beautiful portrait painting. It can be best gift for others. People can decorate walls of their home with nice painting and they love painting.